Here we are again… talking about granola. 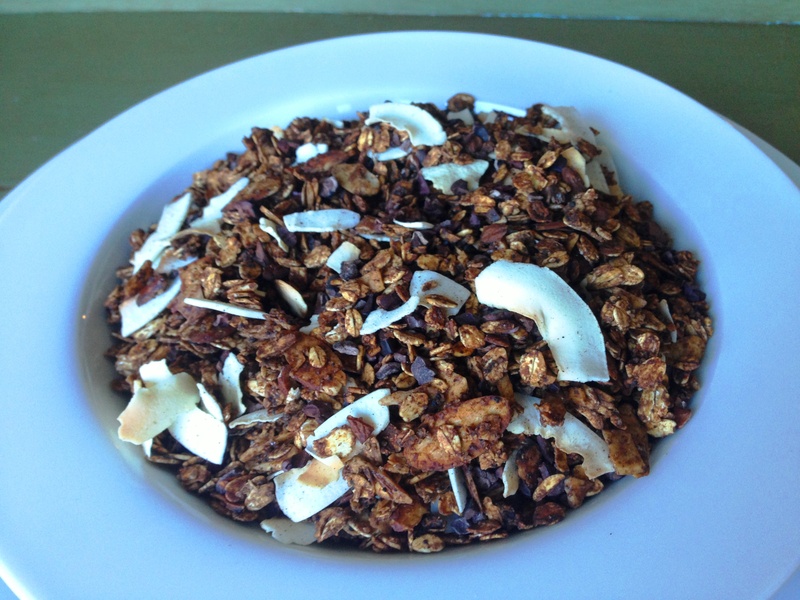 Call me crazy for posting my seventh granola related recipe on this blog. I can’t care. Granola is important to me. Other things that are very important to me: chocolate and coffee. 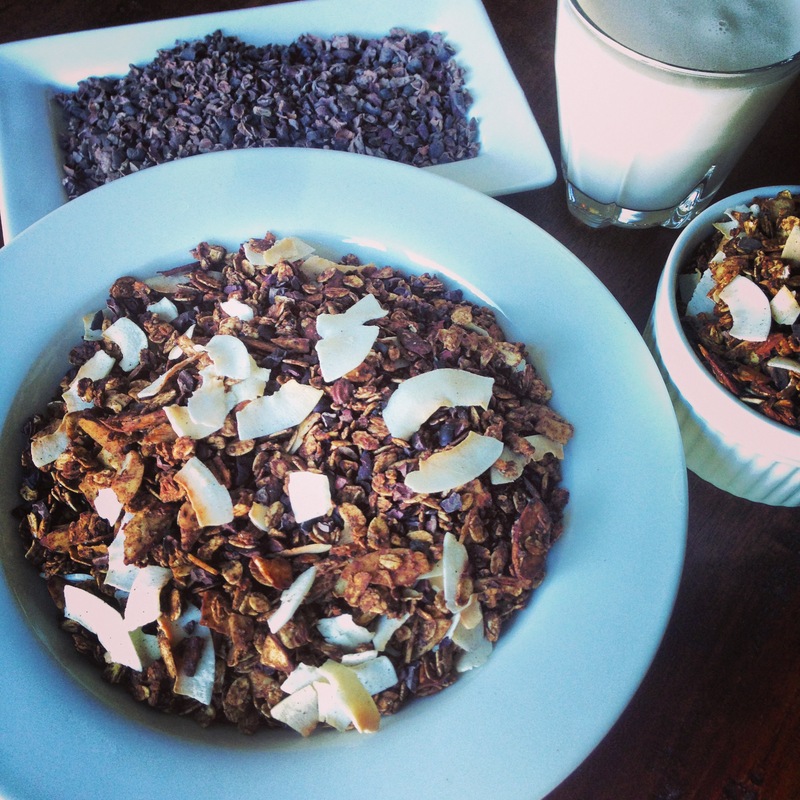 So there you have it… the trifecta of all that is good… Chocolate Espresso Granola. *Note: So cacao nibs. This is real cocoa people. As in the bean from the fruit of the cacao tree. So these little nibs are actually good for you. They are expensive and you can substitute mini chocolate chips but if you’re going to go to the trouble of making homemade granola you might as well make it somewhat healthy. I have plenty of other ways you can use mini chocolate chips (like here and here). Warning: do not try these nibs straight out of the bag. They just taste awful. 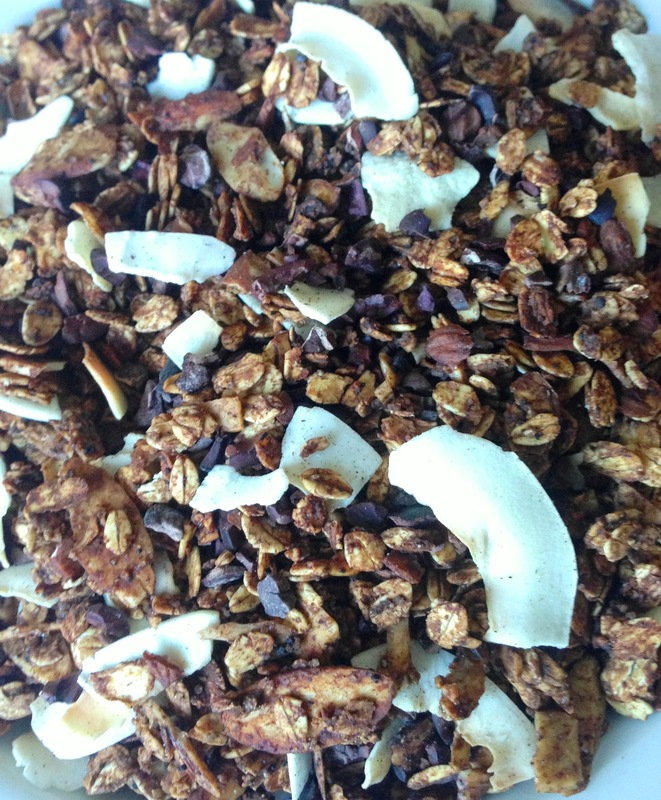 I don’t know how they taste so insanely good in this granola but they do… trust me. Preheat the oven to 325 degrees F. Line a baking sheet with parchment paper. Combine oats, almonds, cocoa powder, espresso powder and brown sugar in a large bowl. Add the syrup and vanilla and stir. Spread mixture on baking sheet and bake for 30 minutes stirring EVERY FIVE minutes. Before the last final five minutes add the coconut to toast. Allow to cool. 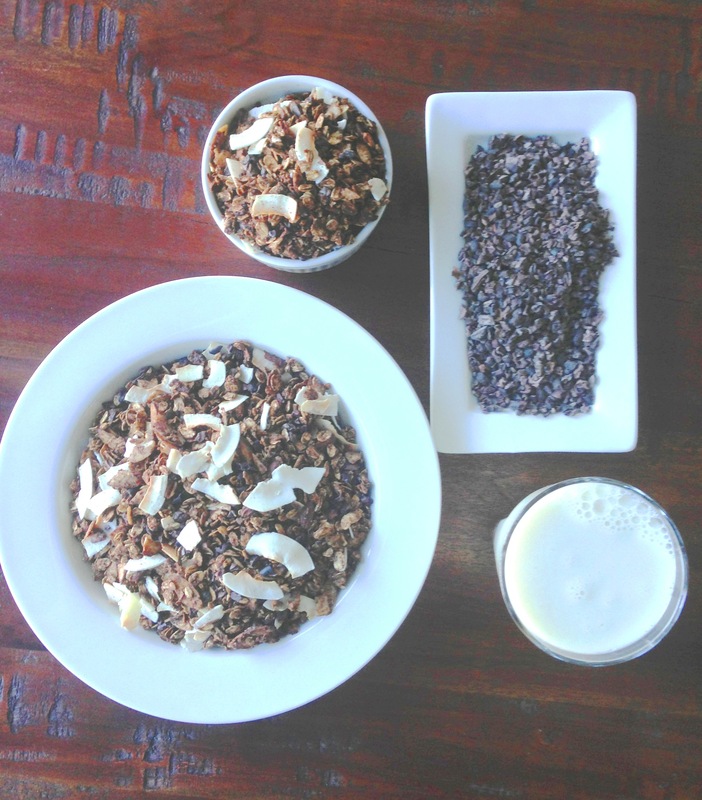 Stir in cacao nibs. I store my granola in an airtight container in the freezer. Enjoy for breakfast or dessert or an afternoon pick-me-up.